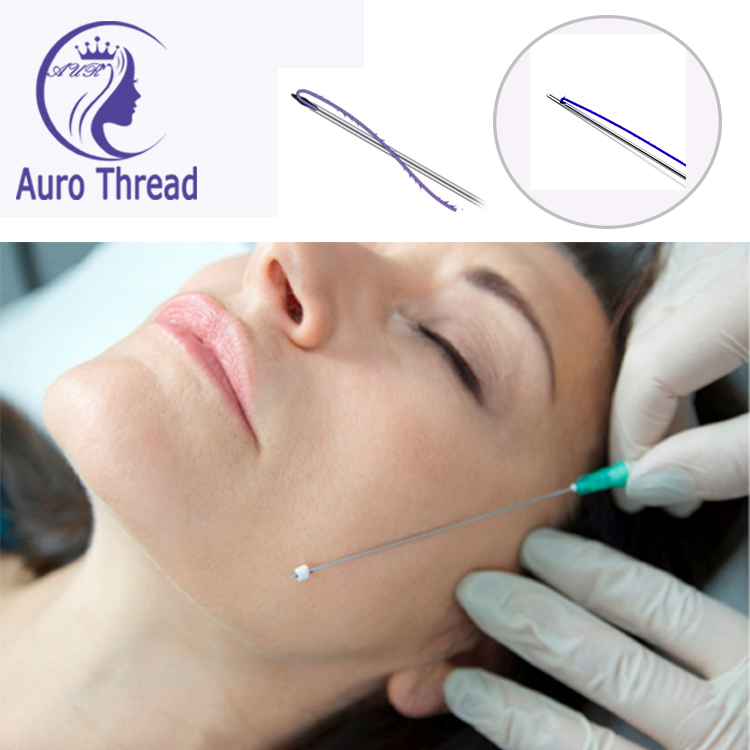 The Plla Thread Lifting is the most effective method of facial acupuncture for lifting the skin and improving skin elasticity. 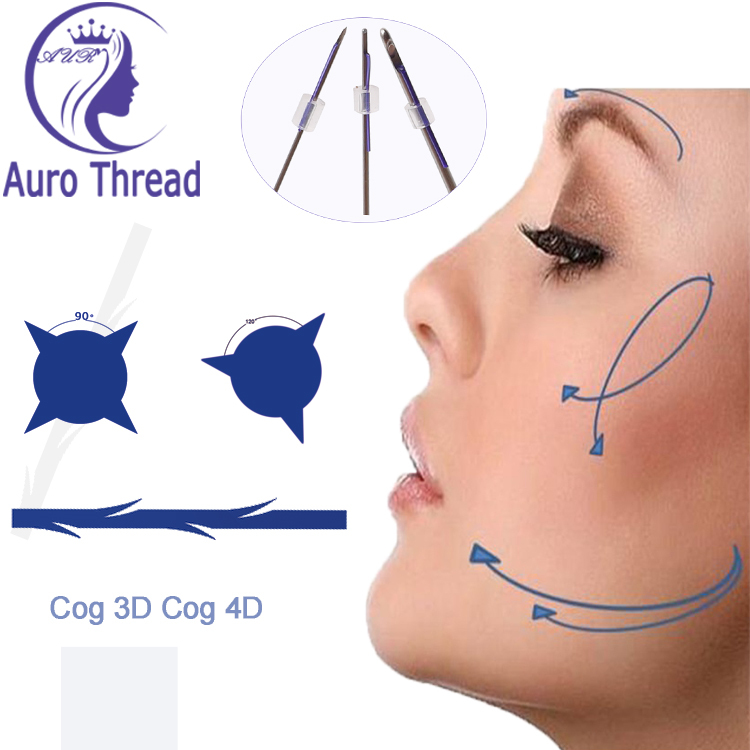 The Plla Face Thread Lift can stimulate collagen production. 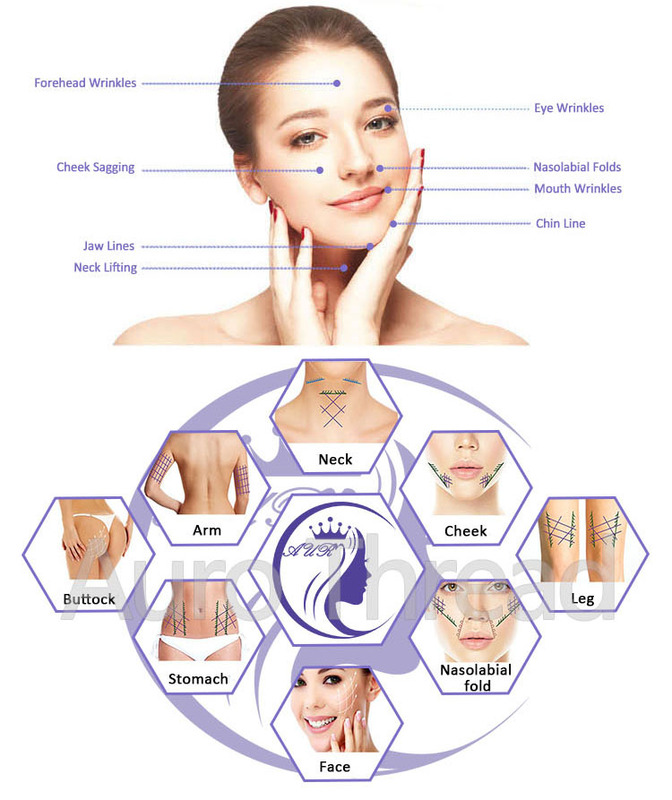 Collagen fibers are the major components of the connective tissue in skin, which are involved in maintaining the skin elasticity and firmness. 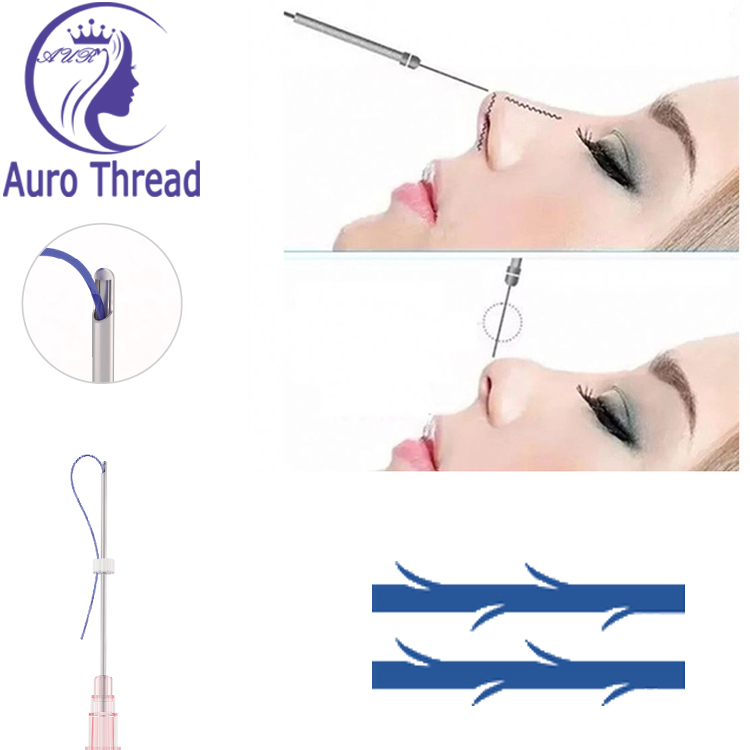 We can treat most areas of the body with PLLA Face Lifting Thread technique. Other than the face and neck, the most popular treatment areas are above the knees, stomach, arms, and buttocks. 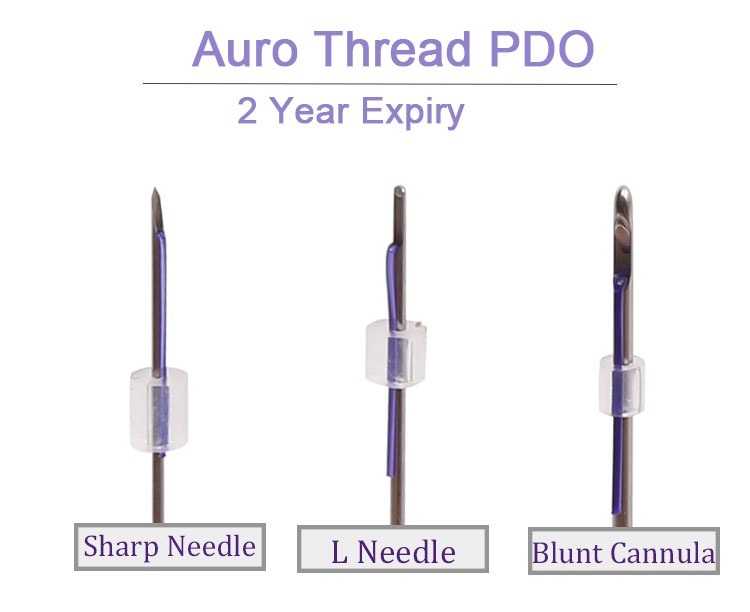 Auro Thread is a thread with no cones, so Sterilization Packaging Plla Thread Lifting is no damage to the tissue and it is very safe. Aging causes the skin tissue to be thin because the collagen and elastin fibers break down, which results in sagging skin, deep creases, folds and wrinkles. Plla Threads Lifting Face reverses the effects of aging. At first make small 1-2mm incisions at various points on the face. And then insert the hollow needle into the skin to put the threads in place. Attach the PLLA Thread Lift For Doctors to the fat underneath the skin, then be adjusted to tighten and smooth the contours of face. At last, trim the excess threads . Looking for ideal Tornado Screw Thread Manufacturer & supplier ? We have a wide selection at great prices to help you get creative. All the Tornado Thread Lift are quality guaranteed. We are China Origin Factory of Tornado Screw Pdo Thread. If you have any question, please feel free to contact us.